A basketball mad Kenyan teenager moves to Northern England and has to overcome racism. 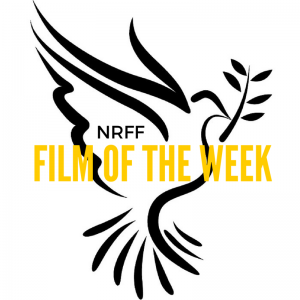 Every week the New Renaissance Film Festival selects a Film of the Week from all the received submissions. We post the TRAILER and a bio of the filmmaker on our website and social media to highlight their project. This week, congratulations goes to ‘DIEMBE’. A Kenyan teenager moves to the UK with high hopes only to be welcomed by bad weather, ignorant pupils and even worse, touchy girls. As he struggles to fit in at school, one unlikely friendship with a curious classmate is going to change everything. MOVIE-MAKER Anderson West hopes his latest film will put issues of prejudice in the spotlight. The short film tells the story of Kenyan boy, Diembe, his mother Ruth and the struggles they face in an English city. 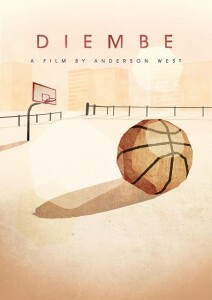 The movie deals with the racism Diembe encounters and how he makes a stand against prejudice. Anderson used his personal experiences of moving from Florida to North Staffordshire to inspire some of the grittier scenes. Anderson launched a £7,000 fund-raising appeal to make the movie, which was shot at locations including Haywood Academy, Basford and the Royal Stoke University Hospital. The film stars EDWARD KAGATUZI as the 14 year-old Diembe, and 15-year-old Leeds-based actor KAI HARRINGTON plays Tony, who stands up for Diembe against the bullies. Film of the Week stands apart from the Official Selection process into the New Renaissance Film Festival. However, from all the films of the week some will be chosen to be part of the festival, which will be held in London (UK) on 20th August 2016. A prize will be given to the overall winner. NRFF London is now open for short film, animation, music and documentary submissions. Enter your film today!